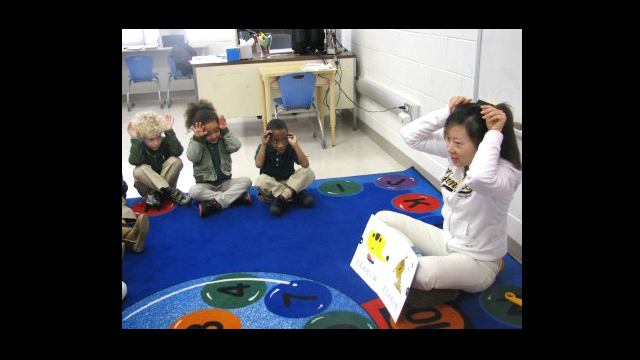 Li Shumeng taught at Cullowhee Valley School in North Carolina during the 2011-2012 school year. In this picture she is introducing the Chinese story of the "Monkey King." 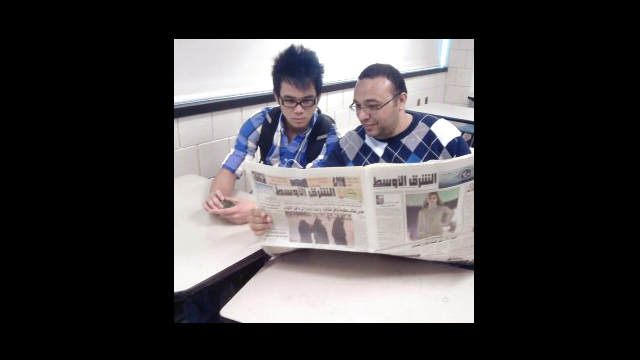 Yasser Abdelgalil is checking students comprehension of Arabic letters as they color in an Arabic alphabet worksheet in October of 2012 at Peck Elementary School in Chicago. Yu Bo was a Chinese teacher at Arlington High School in Massachusetts during the 2011-2012 school year. 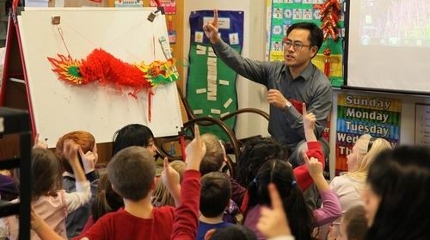 He is pictured doing outreach for elementary school children about the Chinese New Year. 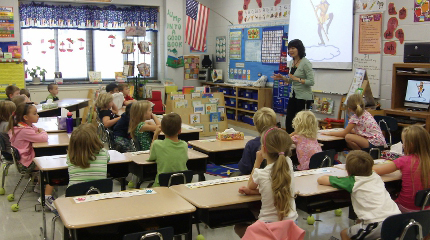 Bai Jinguo teaches Chinese language at Willmar High School in Willmar, Minnesota. 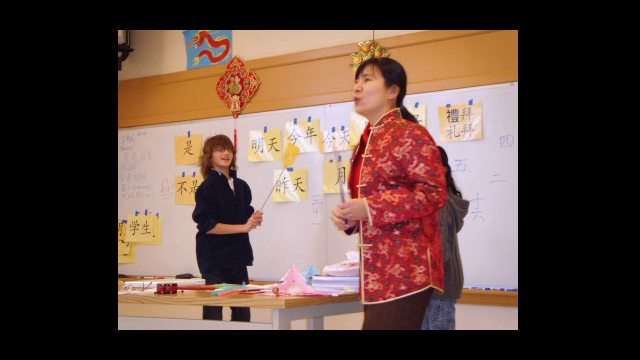 Cui Yonglin teaches Chinese language at the International School of Beaverton in Beaverton, Oregon. Samir Gibrial teaches Arabic at the Academy for Math, Engineering and Science, Salt Lake City, Utah. 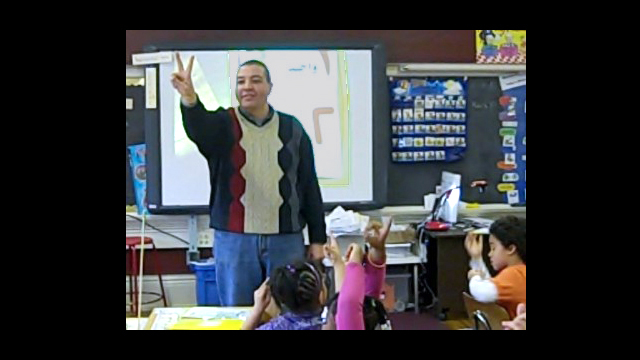 Cui Jiangwei teaches Chinese at Brent Elementary School in Washington D.C.
Ahmad Eleraky teaching Arabic at Pratt Community School in Minneapolis, Minnesota. 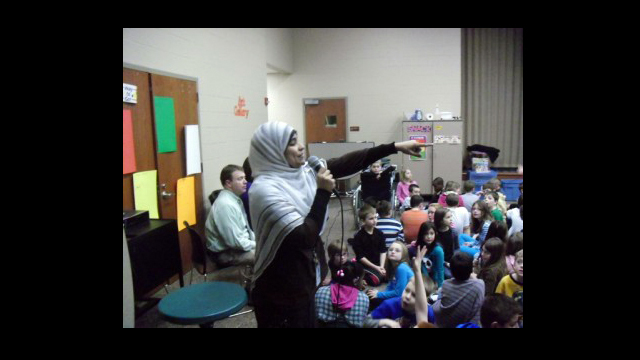 The Teachers of Critical Languages Program (TCLP) brings teachers from China and Egypt to teach Chinese and Arabic at U.S. elementary and secondary schools for an academic year.